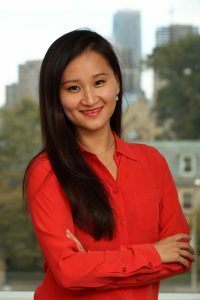 Diana Fu’s book Mobilizing Without The Masses is the winner of this year’s Gregory Luebbert Prize for Best Book in Comparative Politics from the American Political Science Association (APSA). Congratulations Diana on this impressive award and accomplishment! Another APSA winner was Martha Balaguera who will be joining the department on July 1st. Martha won the 2018 Hayward R. Alker Award, which is given by APSA’s Interpretive Methodologies and Methods Conference Group. The award recognizes the APSA conference paper by a Ph.D. student that best demonstrates the uses of interpretive methodologies and methods for the study of the political. Congratulations Martha!